What would it be like to be a part of country music history? Singer/sngwriter and manager Merle Kilgore could have told you. He awed his fans with tales of his life in the music business, always with a supporting cast of impossibly famous friends. At age fourteen Merle carried the guitar for Hank Williams Sr. Four years later he wrote his first song, and Webb Pierce turned it into a million-seller. He double-dated with Elvis Presley, wrecked hotel rooms with Johnny Cash, held seances with Johnny Horton, and convinced Audrey Williams to put Hank Jr. on the road at fourteen-years-old. Merle became a prolific songwriter, entering the Nashville Songwriters Hall of Fame. He co-wrote his signature accomplishment, Ring of Fire with June Carter Cash. This work is listed by CMT as one of the top four all-time country music songs. 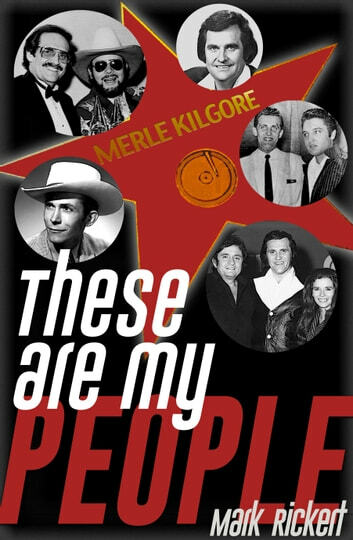 These are just a few of the amazing stories of Merle's life, showcased in These Are My People, written by his grandson Mark Rickert. Morgan Freeman Biography: What Does It Take For a Black Actor To Succeed In Hollywood? These are My People. A story of Merle Kilgore.